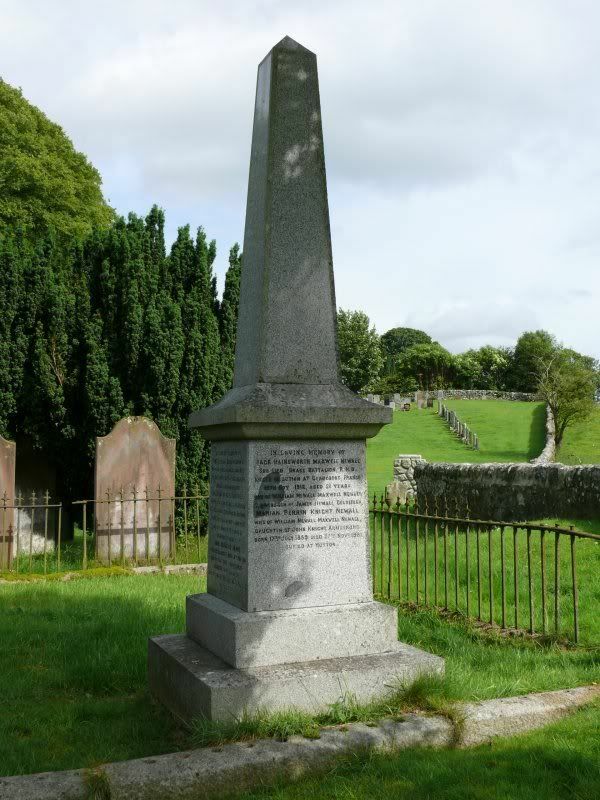 A713 Main St, Dalry (just S of A702), entrance by War Memorial. 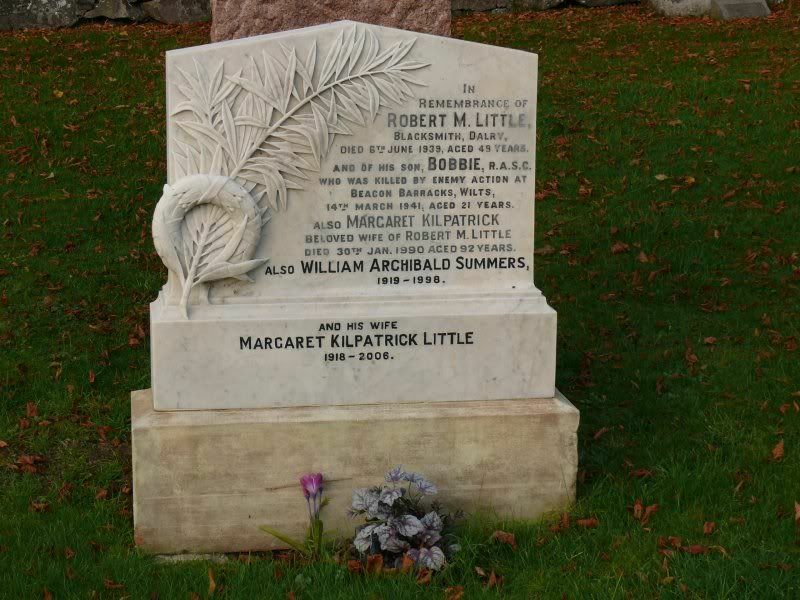 Additional information:	Son of Robert Little, and of Margaret Little, of Dalry. Grave/Memorial Reference:	Plot 2. 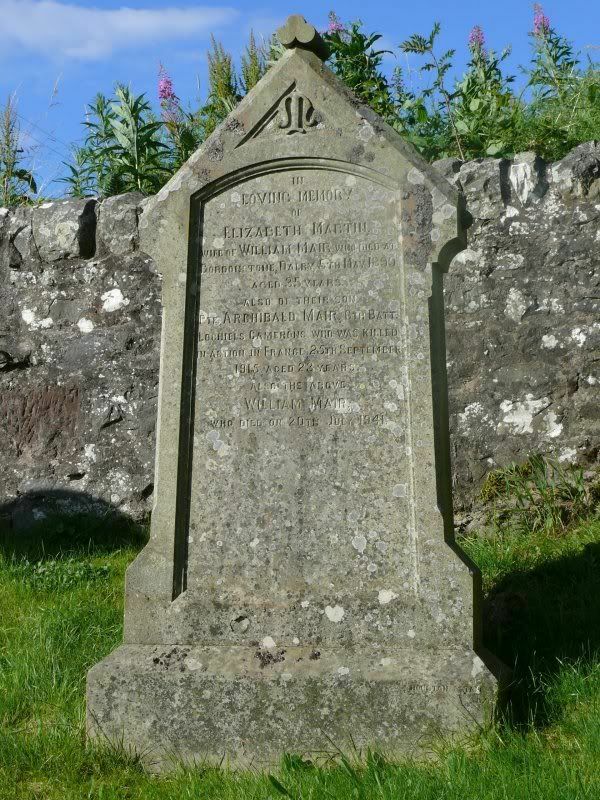 Grave 110. 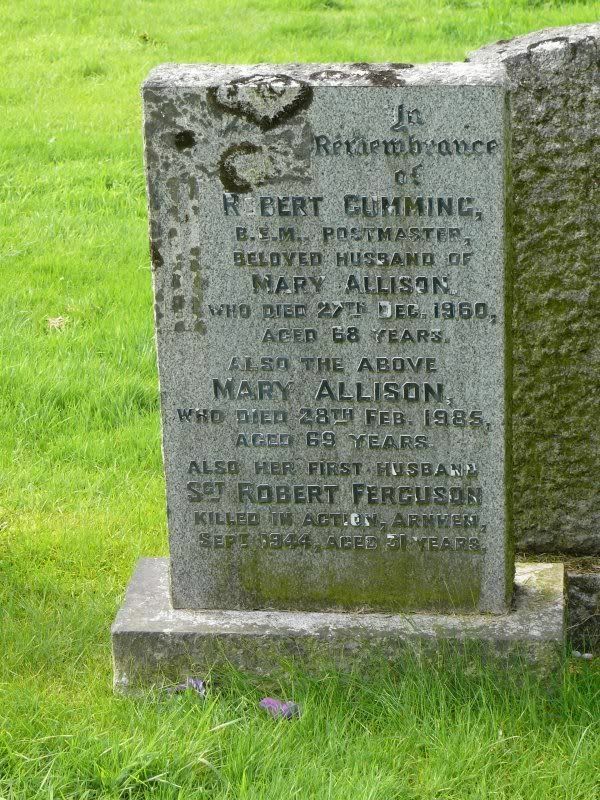 This is a CWGC grave with a private stone. Unit Text:	"D" Coy. 12th Bn. 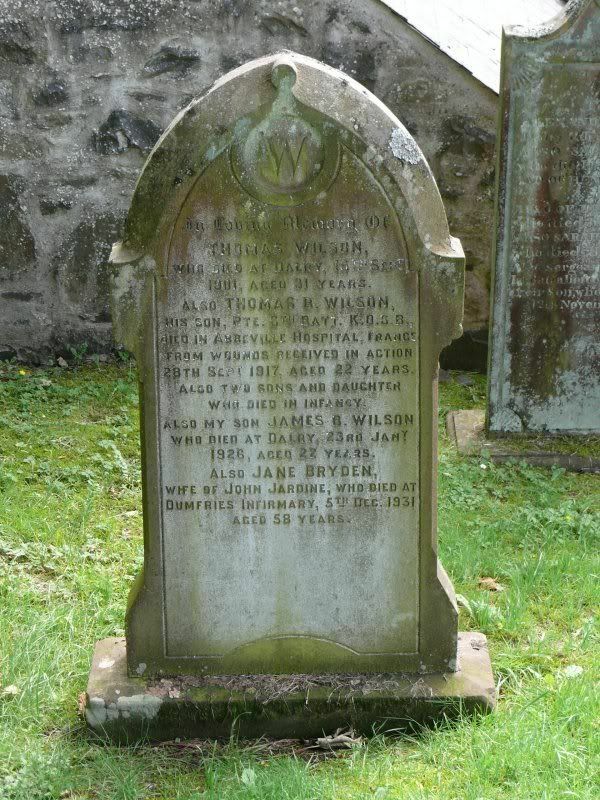 Additional information:	Son of James and Eliza Jane Kirk Robertson, of Ivy Cottage, Balmaclellan, Kirkcudbrightshire. Grave/Memorial Reference:	Near South East corner of Churchyard. 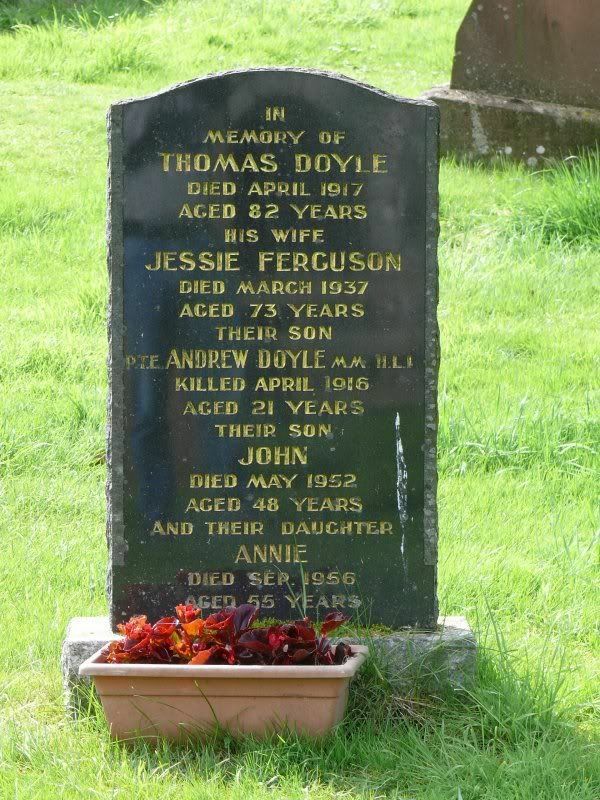 Notice that he is also mentioned on the family stone alongside. 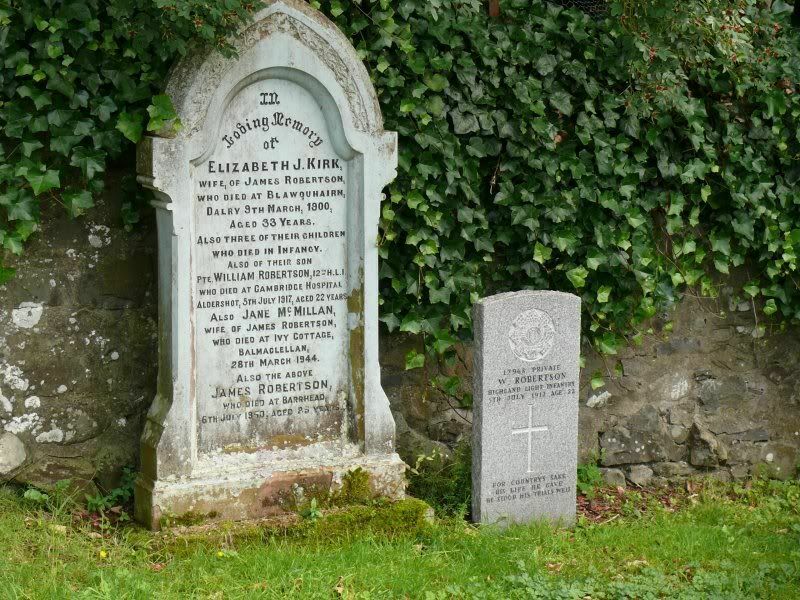 Additional information:	Son of Hugh and Esther Clark, of Dalry, Galloway, Kirkcudbrightshire. Grave/Memorial Reference:	II. E. 54. Grave/Memorial Reference:	II. P. 9. 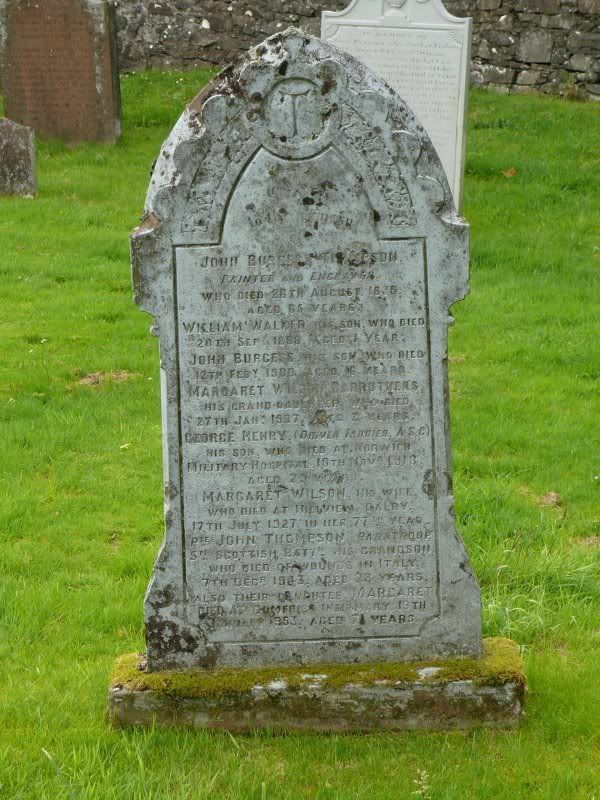 Additional information:	Son of Mr. and Mrs. Thomas Doyle, of Kirkland St., Dalry, Kirkcudbrightshire. Unit Text:	96th Light Railway Operating Coy. Additional information:	Husband of Maria St. Martin-Vanderwal (formerly Ferguson), of 30, Rue Courte, Ostend, Belgium. Note this was originally inscribed as 1927 before being corrected. Unit Text:	7th (Airborne) Bn. 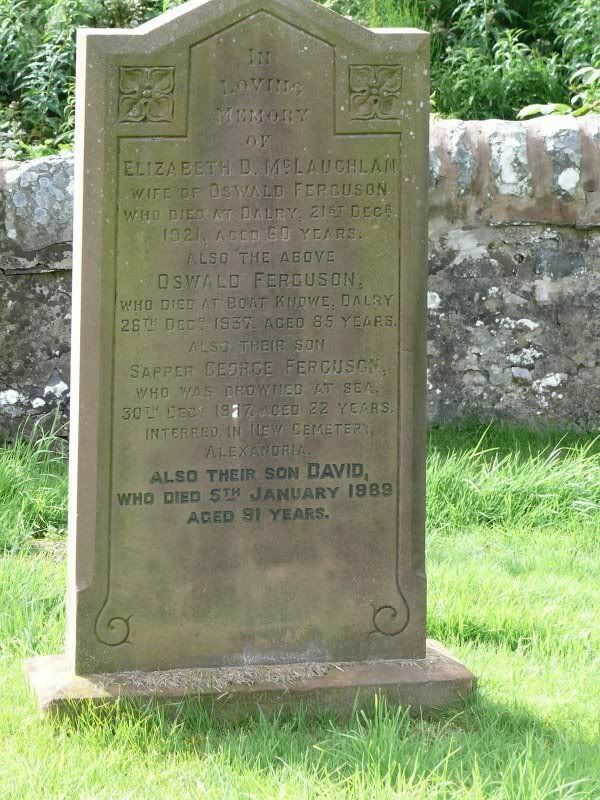 Additional information:	Son of William and Margaret Ferguson; husband of Mary Ferguson, of Dalry, Kirkcudbrightshire. Unit Text:	114 Road Constr. Coy. 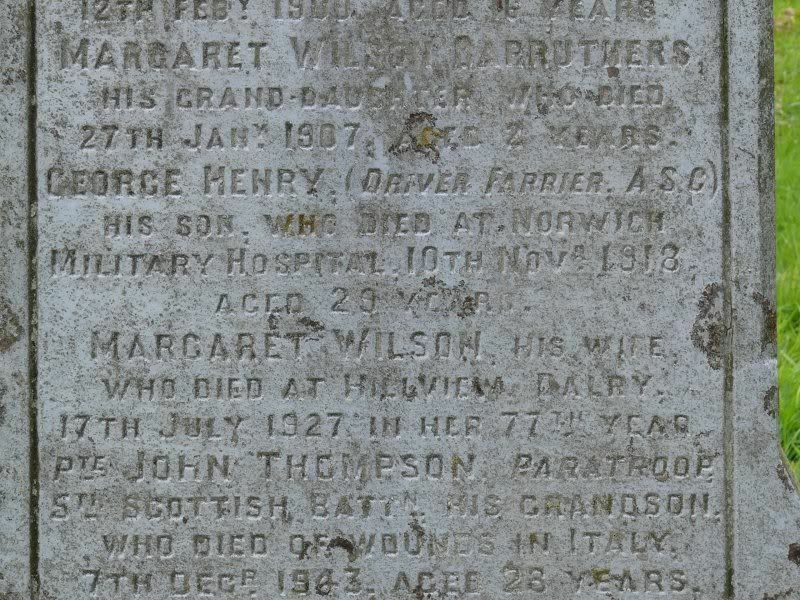 Additional information:	Son of William and Grace Kirk; husband of Freda Dorothy Kirk, of Driffield, Yorkshire. Grave/Memorial Reference:	6. K. 25. 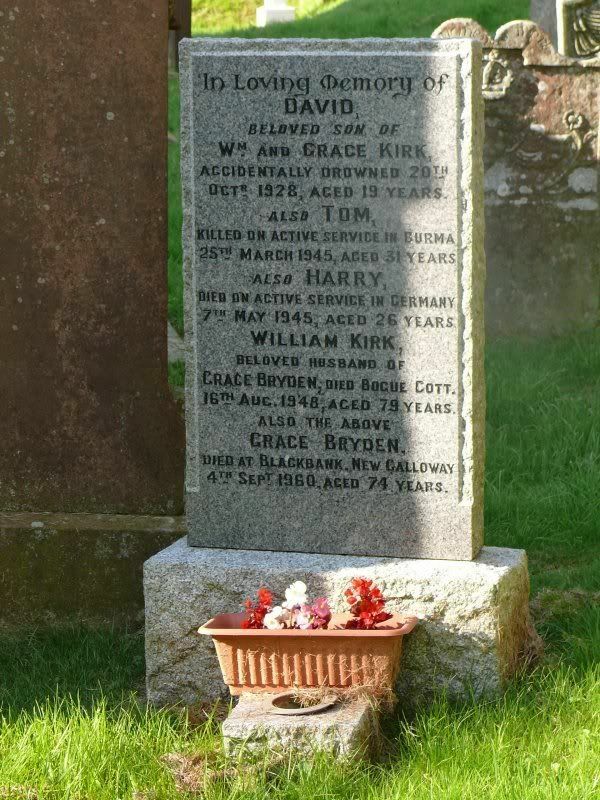 Additional information:	Son of William and Grace Kirk, of Dalry, Kirkcudbrightshire. Grave/Memorial Reference:	1. C. 12. Grave/Memorial Reference:	Panel 119 to 124. 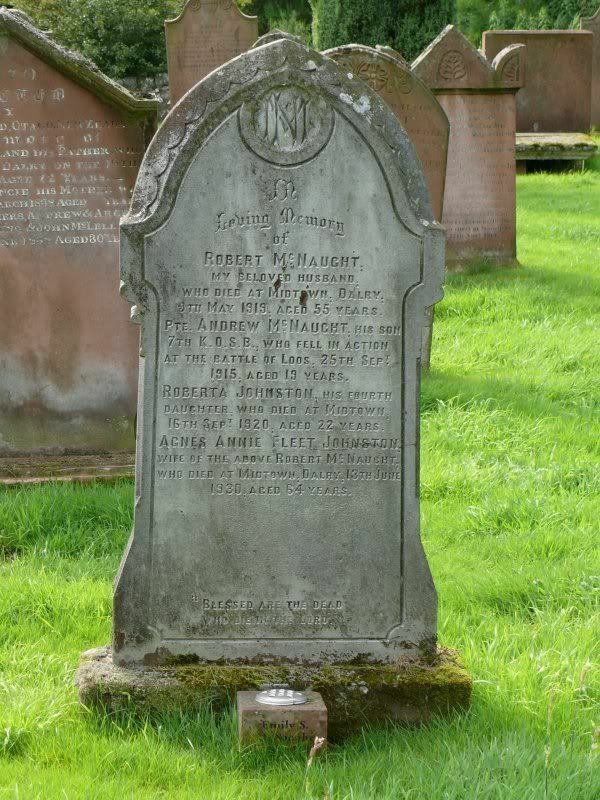 Additional information:	Son of Robert and Agnes A. F. McNaught, of Midtown, Dalry, Kirkcudbrightshire. Grave/Memorial Reference:	Panel 53 to 56. Unit Text:	Drake Bn. R.N. Div. 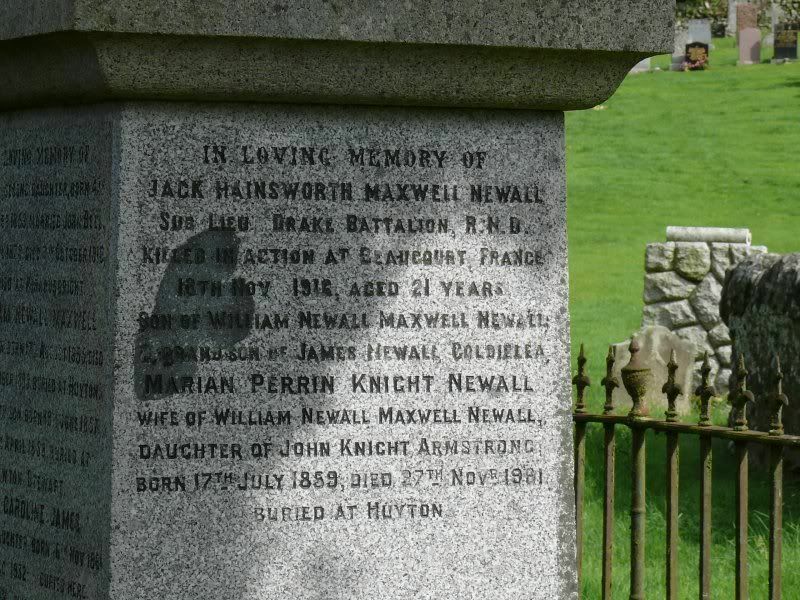 Additional information:	Son of Marian Perrin Knight Newall, of Wharton Hall, Winsford, Cheshire, and the late W. N. M. Newall. Grave/Memorial Reference:	IV. A. 27. 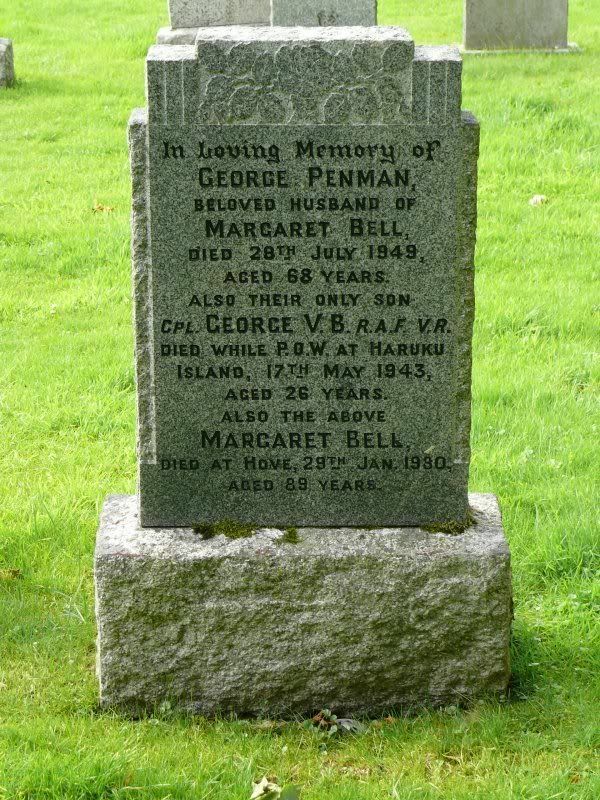 Additional information:	Son of George and Margaret Penman, of Dalry, Kirkudbrightshire. Grave/Memorial Reference:	10. A. 15. 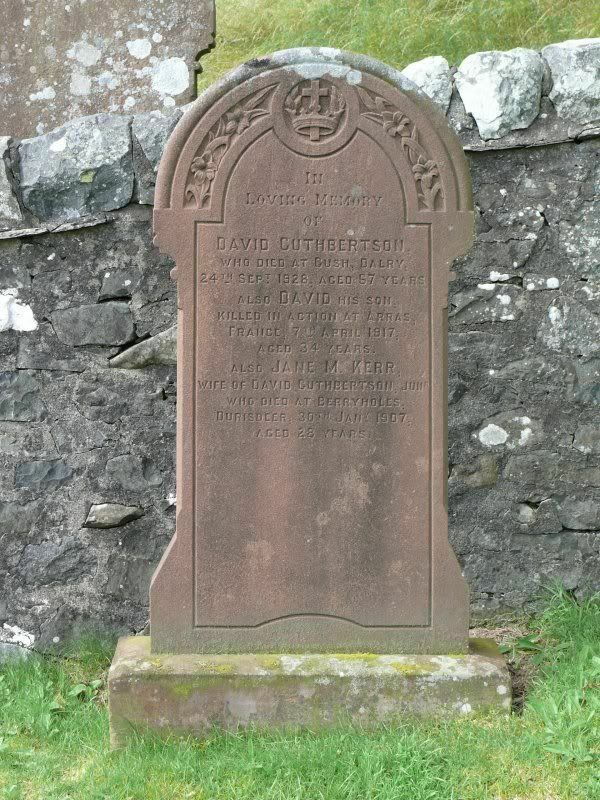 Additional information:	Son of Margaret Thompson, of Dalry, Kirkcudbrightshire. Grave/Memorial Reference:	XI. A. 38. Grave/Memorial Reference: West of Church. 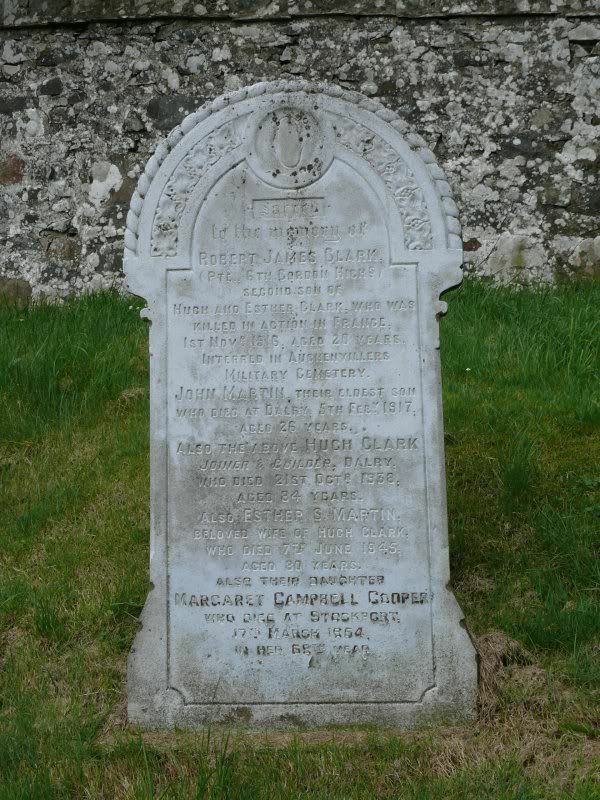 Additional information:	Son of Mrs. J. Jardine, of Main St., Dalry, Kirkcudbrightshire. Grave/Memorial Reference:	III. C. 12.